A higher open likely for the U.S stock markets Tuesday given the surge in major U.S. stock index futures including Dow Futures. At 4:05 a.m. 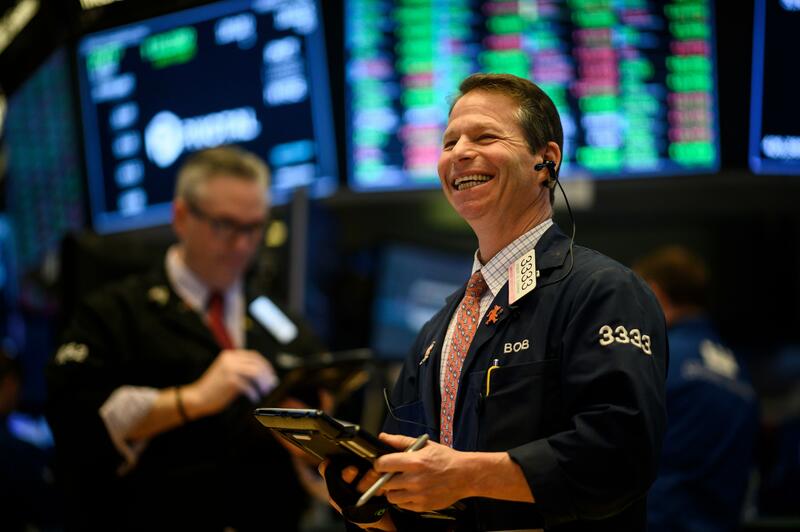 ET, Dow Jones Industrial Average futures surged 156 points, holding out a positive open of more than 143 points. Futures on the S&P 500 and Nasdaq Composite also moved up. Investors are expecting some breakthrough in the ongoing Beijing trade talks between the U.S and China. Yet another piece of good news was the U.S. lawmakers arriving at an interim deal on border wall funding avoiding another partial government shutdown of the government. Quarterly earnings results are awaited from Nissan, Shopify, Under Armour, Activision Blizzard, Occidental Petroleum, and TripAdvisor on Tuesday. In Europe, stock markets moved up as investors reacted to trade developments with expectations. The pan-European Stoxx 600 was up 0.6 percent, with most sectors staying positive. Auto stocks led the gains on the strength of their earnings. The positive market sentiment is rooted in the trade talks between the United States and China generating hopes of a deal. Asian stock markets also closed higher on Tuesday, led by Japan. Japan's Nikkei 225 was up 2.61 percent; Topix gained 2.16 percent. Shares of Renesas Electronics zoomed 16.26 percent. Chinese markets also jumped. The Shenzhen composite soared 1.203 percent while the Shanghai Composite jumped 0.68 percent. Hong Kong's Hang Seng index stood flat at the final hour of trading. South Korea's Kospi marked a gain of 0.45 percent with shares of Samsung Electronics and SK Hynix jumping 2.33 percent and 2.43 percent respectively. Australia’s ASX 200 reversed the earlier dip and closed 0.3 percent up after sectors jumped. Oil prices were down on Monday over concerns on China trade war. It overwhelmed the support from OPEC-led supply cuts. Gold prices were steady as it was on Monday, buoyed by uncertainties around Sino-U.S. trade war and slowdown in global growth. However, a stronger dollar served as an ant-dote to a price spiral by the precious metal. Spot gold stood at $1,313 per ounce at 0059 GMT. While U.S. gold futures firmed at $1,317 per ounce.